The weight of evidence that Nvidia and its AIB partners are about to launch a range of new GeForce GTX graphics cards seems to be increasing by the minute. This morning we saw that even more GTX 1660 Ti variants were on the way to retailers - via EEC regulatory documentation. As well as showing more cards on the way, this time from Asus, the manifest appeared to indicate 3GB versions of these cards would be on offer too. This meagre modern graphics card RAM allotment was the subject of much scorn in the HEXUS forums. A few hours ago more Nvidia GeForce GTX 1660 Ti information leaked onto the internet. We had already seen some product photos, shared on Monday, but those were renders. Today's fresh photos were of a physical product on a bench, with MSI branding, plus a naked shot of the card showing the circuit board and silicon. 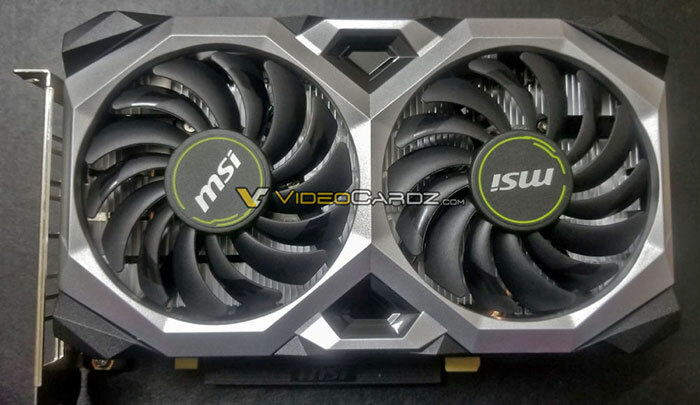 The source of the images, VideoCardz, asserts that these photos are of an MSI GTX 1660 Ti Ventus XS graphics card. If you look at the side-by side silicon shot below, you will see the TU116-400 from the GTX 1660 Ti on the left, and the TU106-400 upon which the GeForce RTX 2060 and RTX 2070 are based on the right. 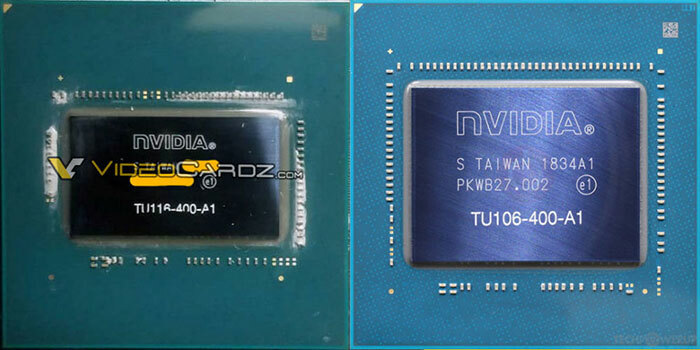 While the package sizes are the same, the die area on the newer GPU is approx 60 per cent the size of the TU106-400. It is more compact due to the fewer CUDA cores in this design, and the lack of some other Turing component cores such as the RT cores. In its circuit board analysis TPU observes that the MSI in use PCB has traces for eight memory chips, across a 256-bit wide memory bus. As a reminder, the GTX 1660 Ti is purported to come with 1,536 CUDA cores. Cards like this MSI GeForce GTX 1660 Ti Ventus XS (and non-XS version) are expected to arrive on 22nd Feb.